Nothing, couldn't sleep at night due to noisy tenants, we complained to staff nothing was done about it noise went on for whole night until 0500 am. The staff at the reception were so friendly and helpful. The air condition and fans makes the place cooler. 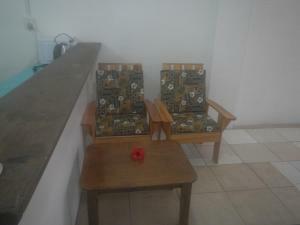 Location easy to find and not far from town.Family room was spacious and huge.Plenty of parking spaces. The aircon was awesome. Had no problems during our stay. Staff was very friendly, met some staff who have become family. Good job to all the cleaners and the rest of the staff. Love the hot water & ac but the beds linens seems like someone else used them before and didn't change it. Toilet wasn't the best as we have to clean the seat ourselves & shower wasn't clean either. The receptionist was beyond perfect tho. Everything is always perfect here!! Great staff. Great rooms. Safe environment. Wonderful compound. Love it. Airco good We could enter our room at 7.00 am instead of 14.00 pm which is the regular check in time! I liked the location as it was close to relatives, and that the lodge was also close to town. I liked our stay there, its nice not great. But if things change i will definitley be back to stay. Staff was lovely and gracious. 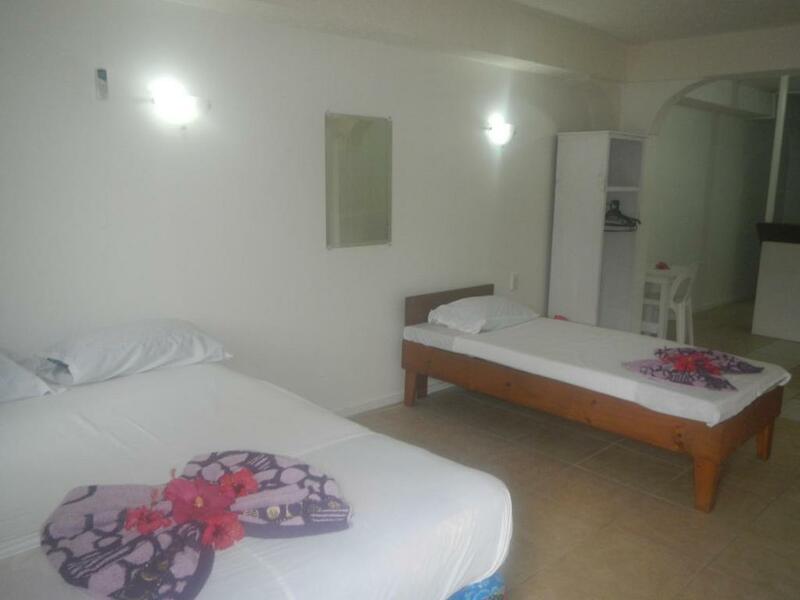 Samoa Sport Lodge offers accommodation in Lepea, just 5 minutes' walk from Tuanaimato Sports Complex. 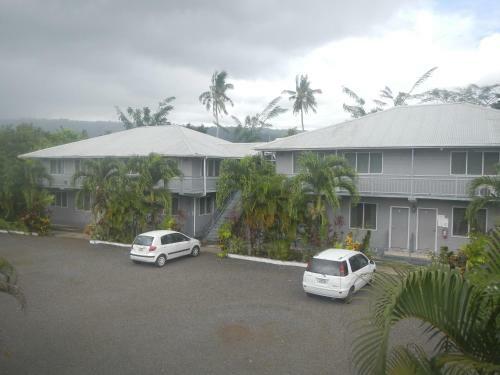 It is 10 minutes' walk from Apia where guests can enjoy local restaurants. On site car hire is available and island tours can be arranged for an additional charge. Sport Lodge Samoa is 15 minutes' walk from Papaseea Sliding Rocks. Faleolo Airport is 30 minutes' drive away. There are several shops, dining options and a sports complex nearby. 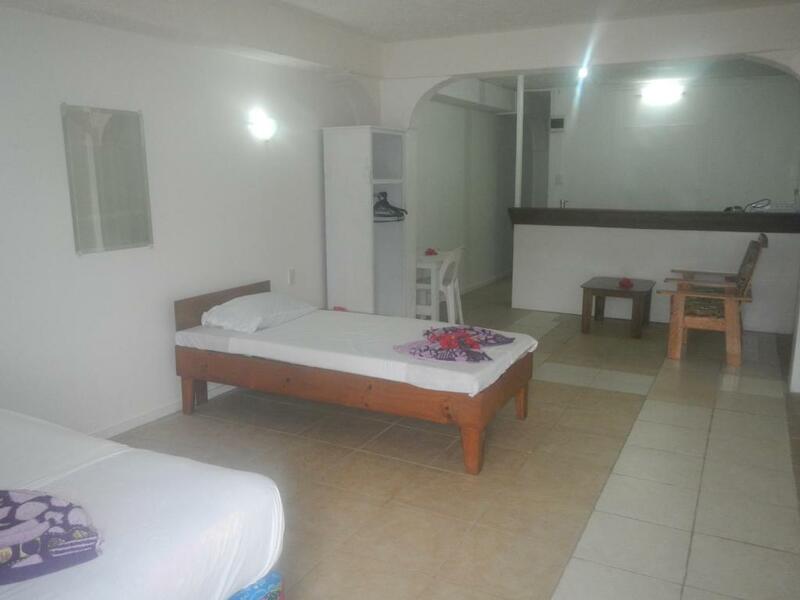 All rooms are air-conditioned and offer a refrigerator. They feature a private bathroom with a shower. 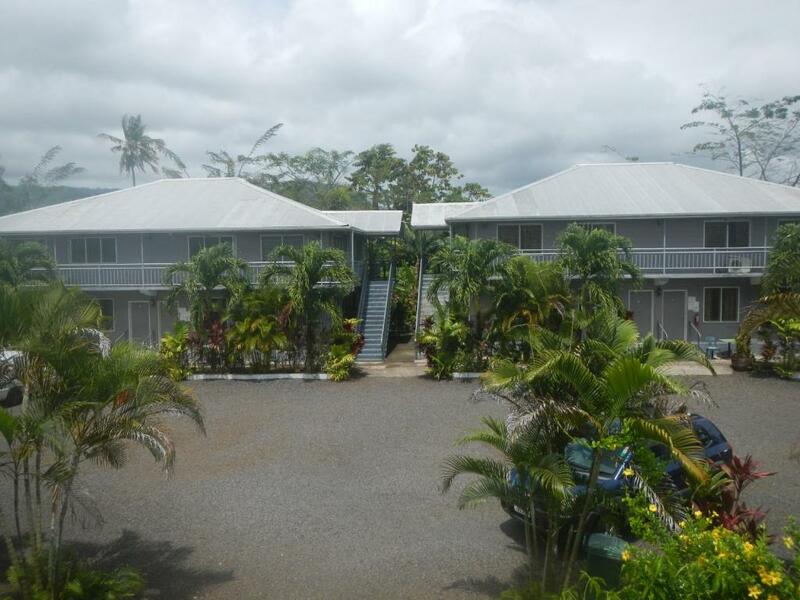 Samoa Sport Lodge has been welcoming Booking.com guests since 24 Jun 2015. 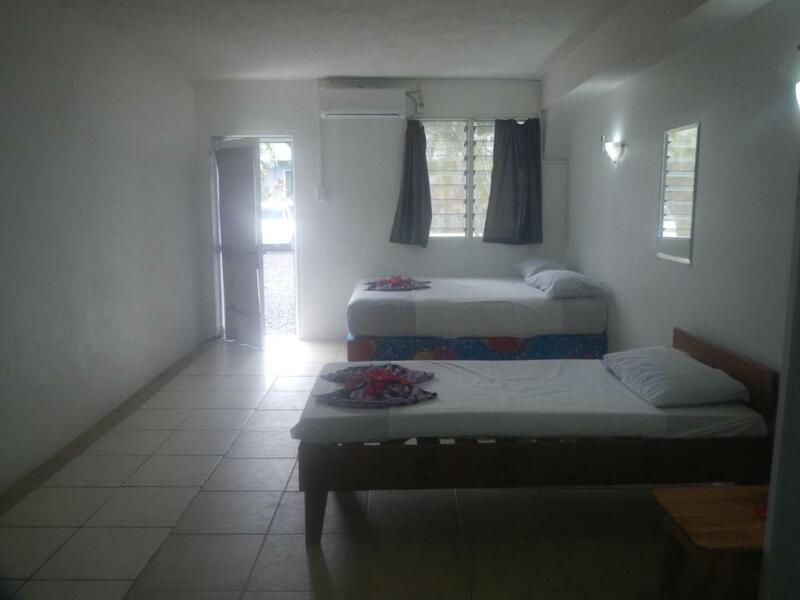 When would you like to stay at Samoa Sport Lodge? WiFi is available in all areas and costs USD 8 per hour. 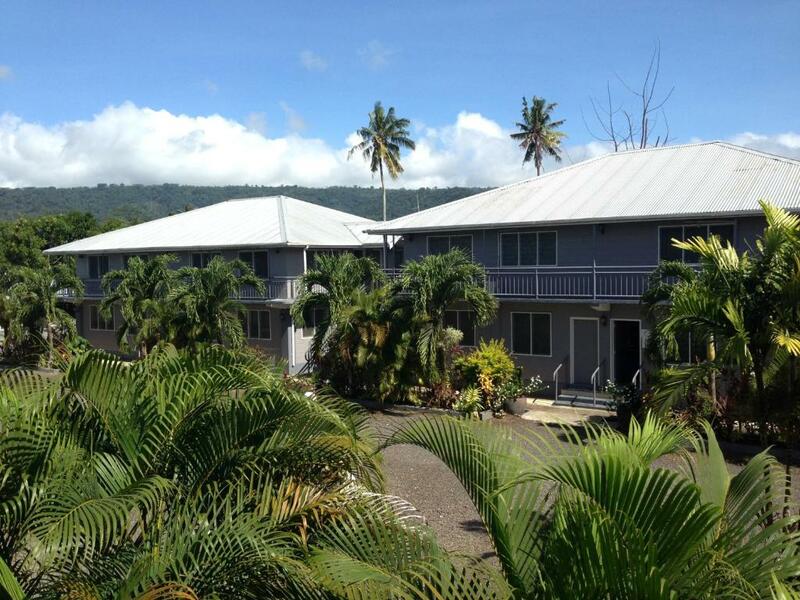 House rules Samoa Sport Lodge takes special requests - add in the next step! Samoa Sport Lodge accepts these cards and reserves the right to temporarily hold an amount prior to arrival. Transfers are available to and from Faleolo International Airport. For 1 person these are charged 60 Tala per person, each way, and for 2 people or more these are charged at 30 Tala per person, each way. Children are charged at 20 Tala per child 5-12 years, each way, and kids 4 years and under are free. Please inform Samoa Sport Lodge in advance if you want to use this service, using the contact details found on the booking confirmation. Please note WiFi is available for an additional charge, per hour. For further information, please contact the property using the contact details found on the booking confirmation. No or little sprinkles of water to have a shower. Beds were hard and uncomfortable. Loud noises, people having a party through the night, host didn’t address it. WIFI extremely slow. Shower needs a soap and shampoo holder and the drainage in the shower did not drain. Fridge need to replace shelfs very rusty also quite old. They spare keys for rooms reception asked me if they can have my key to service the room as they dont have spare. I got back went to pick up the key they left the key on the counter but no one there i was waiting for 5mins. I was thinking if i take the key or not they need to keep the in safe place for there guests security. I like the bed also air condition. When we arrived the room was not ready, i had to go around and looked for a comfortable room, and the room was not cleaned, we have to wait for 20 minutes while the staffs cleaned the room, that first day, the shower blocked, asked the reception if someone can fix the blocked shower, one staff came up with a coat hanger, so the host can fix it, told the staff don't worry about it, we'll go to the shop and look for a pump, we bought the pump and found out that the shower was blocked with lots of hair, probably from the previous tenants, with the washing, we've told it cost $20 tala for one load, but every time i take my washing, they said it's too big it has to be 2 loads, i looked at their washing machine, they big if they allowed me to do the washing, it will fit one load, i come from Australia, we use washing machine all the time, so staying at your lodge for 15 nights my washing cost $40 tala all the time, i don't think we ever come back there, and i won't recommend your accommodation to anyone in my church here in Aust, i have to put up with it, i think you just lost a customer, 15 nights, plus how many times you did my washing for $40 tala, so no good. 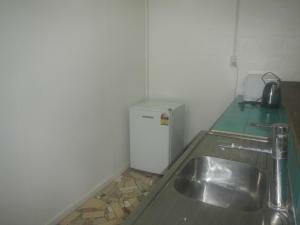 The rooms need to be cleaned daily and change sheets and towels.Bathroom dirty not up to standard. Shower curtain have stains on it. Rooms need a thorough clean full of ants and some crawling insects. The fridge needs cleaning. I think improvement is needed, in our room our hot water for the shower wasnt working, our toilet seat was uneven also on our balcony outside our room their were local kids looking through the windows and trying to sell us stuff while we were trying to eat. The oven main switch was dangerous it didnt work! As it was loose. Also their was alot of ants as well, but a bit of fly spray done the trick. The tiles in the bathroom were sharp and chipped also the shower curtain was moulded which was not pleasing to the eye.